Campsite Yelloh! 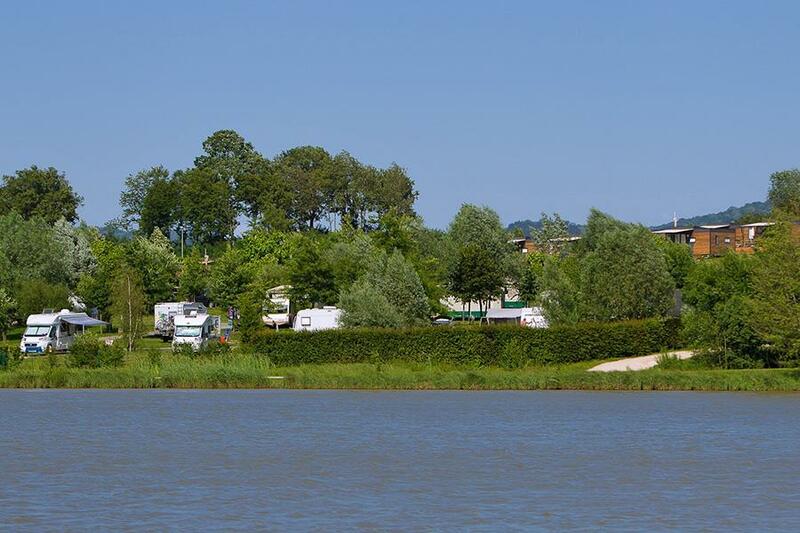 Village Le Domaine de Louvarel is a campsite with 110 touring pitches. During low season, between 15-04-2019 - 11-05-2019, 25-05-2019 - 12-07-2019 and 31-08-2019 - 30-09-2019, the nightly rate is €20,- at one of the 110 touring pitches at Campsite Yelloh! Village Le Domaine de Louvarel in Louvarel (Saône-et-Loire). At this campsite you can not only use your CampingCard ACSI for inexpensive camping, you can also use your ACSI Club ID (as an alternative ID). Excellent toilet facilities, great amenities and extensive plantlife. At Lake Louvarel. Heated indoor swimming pool, Sandy beach with guarded swimming area in high season. Fishing pond. CampingCard ACSI guests are always allocated a 3 or 4 flower pitch. Well maintained site right on the lake side with stunning views, excellent restaurant and bar area, indoor pool and large swimming lake, large well payed out pitches, all facilities are excellent. A walk around he lake takes 40 mins, all on well layer out path, there is nothing negative about this site at all. Lovely campsite overlooking a beautiful lake. Friendly and helpful staff who allowed us to choose our own pitch. The lake is easily accessible and you can walk all round the lake in 30/40 minutes. The pool was covered with a glass dome shape roof during our stay and although we didn't use it it looked very nice. There is a village nearby that has most facilities. Would visit again. Lovely pitch right at side of Lake. Swimming pool an added bonus. Great if you have dogs as walk all way round lake. The only criticsm about this site is the noise from the motorway some way off beyond the lake. Otherwise it is a lovely site with spotless facilities, a lovely covered pool, good sized pitches an excellent restaurant and friendly staff. This site was the best we stayed on during our 6 week trip to S. Of France. From the helpful staff (one ex-pat English lady) spacious inside and outside restaurant with good choice, views over the lake, walking, cycling on many quiet roads AND the indoor pool which we often had to ourselves, outstanding. All amenities spotless. Our intention was a stopover and if we had not been on a schedule, we would have stayed a lot longer as the area seemed to have lots to offer. Very relaxing and green plus fantastic sunsets, another ACSI Gem! Intended as staging post on way south but ended staying two weeks. Very helpful staff, good restaurant and many interesting places to visit. Pleasantly located on a lake for easy circular walk and part available for swimming although this area rather shallow when visited - early September 2014. Would you like to book Campsite Yelloh! Village Le Domaine de Louvarel or request more information? You can do both using the information below or by visiting the campsite's website. A39 exit 9, then follow signs. Campsite is signposted. Or exit Champagnat on the N83 and follow Louvarel or campsite signs. Campsite located on the 'Base de Loisirs Louvarel'. CampingCard ACSI will send your information request to "Campsite Yelloh! Village Le Domaine de Louvarel".